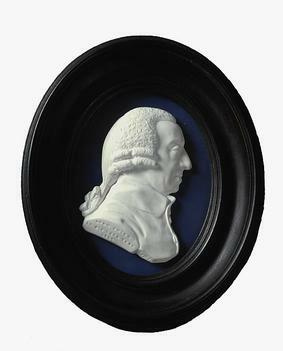 Adam Smith (16 June 1723 – 17 July 1790) was a Scottish economist, who is called the Father of Modern Economics. 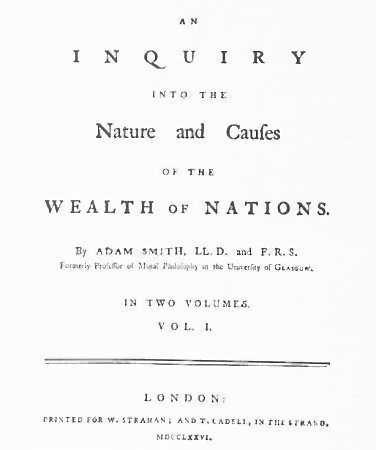 His book, An Inquiry into the Nature and Causes of the Wealth of Nations, published in 1776, was very important. People call the book just The Wealth of Nations. It stated some of the ideas on which modern economics is based off, especially market economics. In the Wealth of Nations Adam Smith asks 'what can a person do that is best for his country?' He decides that if every person does what is best for themself and their little circle of family and friends, then the country will do better. This is because every person knows a lot about their own situation (what they need and what they want, what works and what does not work), much more than the government knows. This sort of thinking is called "liberal theory", a main part of liberalism. He was also a philosopher who wanted to know why people thought (felt) that some things are good and others bad. He wrote an earlier book, in 1759, called The Theory of Moral Sentiments. He thought that empathy was very important in ethics. Empathy is when you see how someone else is feeling, imagine what it feels like, and then end up feeling the same way: for Smith, empathy is like "putting yourself in someone else's shoes". For example, empathy makes us feel happy to see someone else who is happy, or feel sorry for someone who is sad. Empathy may even make us feel pain when we see someone in pain (as if we had been hurt or affected). 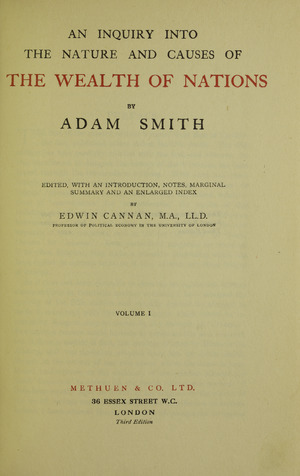 Both Smith and his friend David Hume, who was another Scottish philosopher, wrote about the importance of sympathy in ethics. David Hume was a friend and contemporary of Smith. 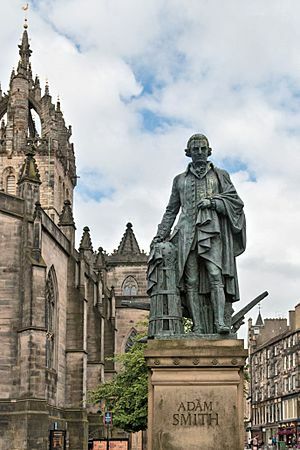 A statue of Smith in Edinburgh's High Street, erected through private donations organised by the Adam Smith Institute. Statue of Smith built in 1867–1870 at the old headquarters of the University of London, 6 Burlington Gardens. Adam Smith Facts for Kids. Kiddle Encyclopedia. This page was last modified on 15 April 2019, at 05:59.